Safecoat Almighty Adhesive is a non-toxic, quick curing construction adhesive for use in a wide variety of applications. Almighty Adhesive has more than 500 PSI shear strength--more than enough grip for most applications—and is 100% solids, so there is no shrinkage. 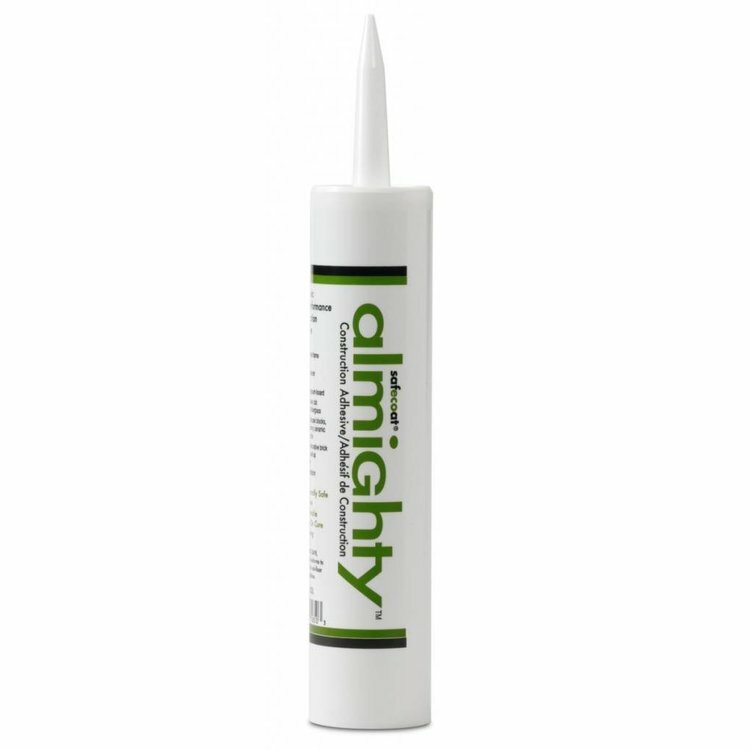 Use Almighty Adhesive on wood and metal frames, subfloors, decking, drywall, cove base, tub surrounds and fiberglass, as well as concrete, masonry, decorative brick and stone, ceramic tile and ceiling tile. APPLICATION: Apply to clean substrates with a caulking gun, ensuring that bonded materials are tightly joined. Use fasteners as needed or required by code. Almighty Adhesive can be applied in temperatures ranging from 30 degrees Fahrenheit up to 200 degrees. DRYING/CURING TIME: 24 hours, under normal conditions. COVERAGE: Approximately 25 lineal feet per tube. LIMITATIONS: Almighty Adhesive is made without formaldehyde preservatives and toxic mildewcides and fungicides. Do not contaminate. Store in airtight containers.